The greatest benefit I've reaped from blogging has been the opportunity to meet some wonderful people from all over the country.Up until a few months ago, I owed most of my interaction with other bloggers to attending conferences. While conference are great, they only last a few short days so it's up to you to keep those connections alive. That's where my friends Ruby of Growing Up Blackxican and Xenia of Raised By Culture come into the picture. They started a small Facebook group called #BlogLuv. In the basic sense it's a support group. A group of friends willing to read and discuss each others' writing, share blogging resources, and serve up some motivation and inspiration. For Valentine's Day they organized a gift exchange amongst the group members. I was paired with Lisa Quinones-Fontanez of Autism Wonderland, a blog that chronicles her family's life with autism. My gifts from Lisa arrived just in time for the February 14th festivities and was a sweet addition to my week! Lisa sent a wonderful sweet treat, Fresh Cosmetics' Sugar Rose Tinted Lip Treatment with SPF. A treat that won't be rough on the hips and instead will nourish my lips. As an added bonus, I also received a Godiva Dark Chocolate and Raspberry bar. Lisa clearly understands that a little dark chocolate can be healthy :) The only bad thing about this bar is that I'll have to share it with my honey, who called dibs on it as soon as I opened the package. Thanks for being my Valentine Lisa!! Wishing everyone a happy V-Day and reminding you that love is all around in many forms so bask in it. 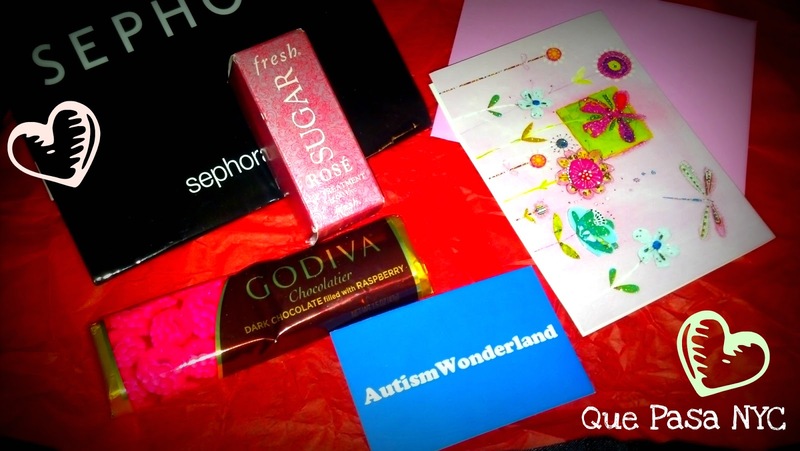 One Responses to "#BLOGLUV Valentine Exchange"
Love it!So happy to hear you enjoyed this exchange! Lisa got you some awesome stuff Let us know how that lip sugar is i've been eyeing it for a while now! Happy Valentine's day amiga! 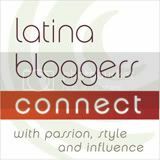 I feel so blessed that we had the chance to meet at Blogalicious two years ago, Maribel, and even more grateful that Ruby invited me to join the group. With the little time I have I'm enjoying getting to know the crew. I hope my VDay surprise comes today so that I can post it! Ruby - I'm a big fan f Fresh's Lip Sugar. It does a great job of gently exfoliating and moisturizing. Ezzy - The feelign is mutual. Happy V day! I hope I get to see you soon Maribel - miss you much and oo I might need to get Fresh's Lip Sugar! I'm glad you liked it! I love Fresh Lip Sugar myself - so we both have good taste :D I think we met before...but looking forward to meeting again!